Of late, indoor location technology has grown over and beyond its outdoor counterpart. In fact, it currently plays a critical role in reinventing the mobile advertising, and app development industry. So much so that, it has now paved the way for a number of location-based , be it enhanced customer engagement, improved navigation or risk mitigation. Adding on to that, it is highly critical for businesses these days to have access to indoor location information that is accurate, and cost effective. So, which among the following widely used location technologies – Wi-Fi, iBeacon, NFC, GPS, will your business benefit from? This is one of the questions that keeps surfacing in most of our conversations with customers till date. Unfortunately, each of these proximity marketing technologies have their own limitations and businesses need to use the right combination of two or more based on their budget and what they are trying to achieve. We have already discussed about the basic differences between Wi-Fi and iBeacon (Bluetooth Low Energy) technology and how they work best when used together. How do iBeacon, NFC and GPS measure up against each other as indoor location technologies? The ability of the indoor location technology to be “tapped into” or accessed by a consumer or business is defined as Accessibility. No matter which technology you opt to go ahead with for your business, you need to have some basic infrastructure such as a transmitter, a receiver and a data service, in place to determine the location. In the case of a Bluetooth beacon location system, beacons function as signal transmitters that are majorly battery-powered and can be configured with the help of a mobile app. This makes them scalable and highly portable. Also when it comes to beacons, smartphones primarily act as the receivers. And with smartphones being pretty ubiquitous these days, beacons form a highly accessible indoor location technology. Beacons need to be installed once and checked regularly for battery levels, etc. Businesses could opt for a beacon management platform such as Beaconstac to be accurately notified when the beacon batteries need to replaced. This way, you don’t have to walk around the venue with an app trying to detect which beacon has run out of battery. NFC is considered to be very powerful location technology. All smartphones support NFC. Most Android and iOS phones natively support NFC. There is no need to download an app as is the case with beacons. Deploying a NFC system requires a number of components such as tags, readers and reader control, and application software to be in place. Therefore, businesses that plan to go ahead with NFC need to plan and invest upfront in new infrastructure. However, NFC tags are extremely cost-effective. GPS is a highly accessible technology. When it comes to GPS technology, one factor that can act as a major con is power. If you have ever tried using Google Maps to find your way from one place to another, you would know that constantly searching for satellites can result in a huge battery drain. Thus, when it comes to an “always-on” use case, GPS is a poor solution to go ahead with. Range is defined as the distance that the signal travels. In general context, the range of any indoor location technology is dependent on the configuration, power settings and environment in which it is deployed. For example, a WiFi or Bluetooth signal will demonstrate a wider range outdoors without any obstruction than in a multi-surface indoor setting. At the same time, the reliability of the signal within a given range, and the tolerance of that signal when accounting for environmental factors is referred to as Accuracy. Beacons typically have a wireless range of 0.15m to 300 m.
Another important thing to note here is that beacon range is dependent on ‘ Broadcasting Signal Power’. Higher the broadcasting signal power, greater the range at which mobile devices will be able to pick up the signal and convert it into information. Unfortunately, greater broadcast power can also result in faster battery drain. That said, you can change the broadcasting power based on the use-case in hand. I’d highly recommend you to check out our earlier article to learn more about this in detail. This indoor location technology works at an optimal range of 10cm or less. Therefore, customers are required to bring their mobile phones in close contact with products. In this case, the range is unlimited. At the same time, a number of factors such as atmospheric effects, sky blockage, and receiver quality play a critical role in the accuracy of GPS. According to real-world data from the FAA, high-quality GPS receivers generally provide a horizontal accuracy of more than 3.5 m. Higher accuracy in the range of centimeters is attainable by using GPS in combination with augmentation systems. This is one of the main reasons why GPS works great for apps that operate outdoors with road navigation being one of the primary consumer usecase. However, one of the major limitations of GPS is its inability to accurately plot indoor locations. Since GPS requires listening to multiple satellites to figure out the current position, it can take a bit of time. While buildings block and refract the signal, multi-level buildings make it even more difficult to calculate altitude (and which floor you are on). Therefore when it comes to using GPS as as indoor location technology, it receives a low score for accuracy. Since beacons are primarily proximity detection devices that broadcast outbound signals, there is no inherent security risk in the transmission. As a matter of fact, the risk actually lies in the apps that use these signals. In this sense, beacons are no better or worse than any other location service communicating via a mobile device. That said, location technologies that enable secured sessions during data transmission like NFC, are generally considered to be more secure for use cases such as payments. One of the common threats to beacon security is often referred to as Beacon Hacking. Beacons with weak security measures can be discovered by hackers in public places and their UUIDs, Majors and Minors can be changed. Hackers could even leverage your beacon network without permission. Most beacon manufacturers have now put some measures in place to prevent this from happening. We have discussed about this and various ways to assess beacon security in one of our earlier blogs. This indoor location technology supports encryption and since it requires close proximity between devices for proper functioning, the odds of a hacker intercepting the signal is minimal. Another important thing to note here is that, NFC supports both secured and unsecured data communication sessions. The secured sessions are designed to emulate the way contactless cards ( such credit cards, ID cards etc.) transmit data. GPS by itself is not invasive. The privacy and security risk associated with GPS mainly comes from the receivers (devices) and communication mechanism inherent in the manufacturer’s servers. These days most manufacturers employ various authentication and storage techniques to secure a GPS receiver. To give you a better overview of the comparison between these three indoor location location technologies we have come up with this table. Accessibility With smartphones primarily acting as receivers, beacons form a highly accessible indoor location technology. Deploying a NFC system requires a number of components such as tags, readers and reader control and application software to be in place. Therefore, businesses that plan to go ahead with NFC need to plan and invest upfront in new infrastructure. GPS is a highly accessible technology. Range Beacons typically have a wireless range of 1m to 70 m. NFC works at an optimal range of 10cm or less. In this case, the range is unlimited. Accuracy Beacons being radio transmitters are not very accurate as they stand the chance of interference, as radio signals can be absorbed by different media, such as water, air, human bodies or even metallic surfaces. NFC is an averagely accurate indoor location technology for near range alone. A number of factors such as atmospheric effects, sky blockage etc, play a critical role in the accuracy of GPS. Generally, high-quality GPS receivers provide a horizontal accuracy of more than 3.5 m. Higher accuracy in the range of centimeters is attainable by using GPS in combination with augmentation systems. Security Beacon Hacking, a common threat to beacon security occurs when beacons with weak security measures are discovered by hackers who then change their UUIDs, Majors and Minors to leverage the beacon network without prior permission. Most beacon manufacturers have now put some measures in place to prevent this from happening. NFC supports encryption and since it requires close proximity between devices for proper functioning, the odds of a hacker intercepting the signal is minimal. GPS by itself is not invasive and the privacy and security risk associated with GPS mainly comes from the receivers (devices) and communication mechanism inherent in the manufacturer's servers. Most manufacturers these days employ various authentication and storage techniques to secure a GPS receiver. Ease of use Consumers respond to notifications that are triggered on their smartphone when they are within the range of a beacon. 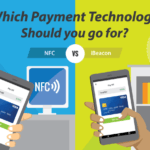 Consumers use a NFC tag to control timing and engagement. Consumers have to switch on the GPS on their smartphones. Energy Efficiency Majority of beacons are battery powered and last for upto one year before they need to be replaced. You can even find, USB powered and electromagnetic wave powered beacons in the market these days. NFC does not need power to function. Each NFC tag creates its own power when it is in the presence of an NFC-enabled smartphone. Constantly searching for satellites can result in a huge battery drain. Thus, when it comes to an "always-on" use case, GPS is a poor solution to go ahead with. Privacy Beacons can be more intrusive as irrespective of who deployed the beacons, a mobile app can be configured to monitor consumer movements as they move along. NFC is less intrusive as the movements of a consumer can only be monitored based on the NFC tag that they have engaged with. No third party, other than the one who has supplied the tag contents can monitor engagement. Privacy risk associated with GPS mainly comes from the receivers (devices) and communication mechanism inherent in the manufacturer's servers. Inherent capability of smartphones iBeacon only requires devices to have Bluetooth LE installed in them, which many smartphones already have. Neither Apple products prior to iPhone 6 nor other popular smartphones come with an inherent NFC chip. It is an inherent capability of all smartphones. Which indoor location technology will your business benefit from? iBeacon – As long as there is a clear value proposition in your app, iBeacon is the best available option when it comes to indoor location positioning, communication and analytics. This technology easily edges out WiFi and NFC with its combination of flexibility, accuracy and a low-cost infrastructure. Adding on to that, it even provides businesses with a great opportunity to seamlessly integrate with existing and new mobility applications. However, when it comes to outdoor use cases or secure payments, beacons are best used in combination with GPS or NFC technology. NFC – It works best when used for secure one-to-one transactions between a consumer and another entity (payment, transport ticketing). However, when it comes to applications that require features such as proximity-based communication location analytics or indoor navigation, it is highly likely that supplementary technologies might be required to be used. GPS – GPS continues to be the best outdoor location technology. However, due to its lack of reliability indoors, businesses might need to supplement their GPS with other technologies for indoor location use. The answer lies in developing a connected infrastructure that involves a combination of all proximity marketing technology including beacons, NFC and GPS to boost customer engagement. If you are planning to run proximity marketing campaigns, take a look at Beaconstac, that includes everything you need to get started. Using Beaconstac you can set up your own campaign, without a developer’s help! Glad you found it helpful, Lenin. Nice article thanks, very helpful! Is there any reason you left out RFID from this comparison?